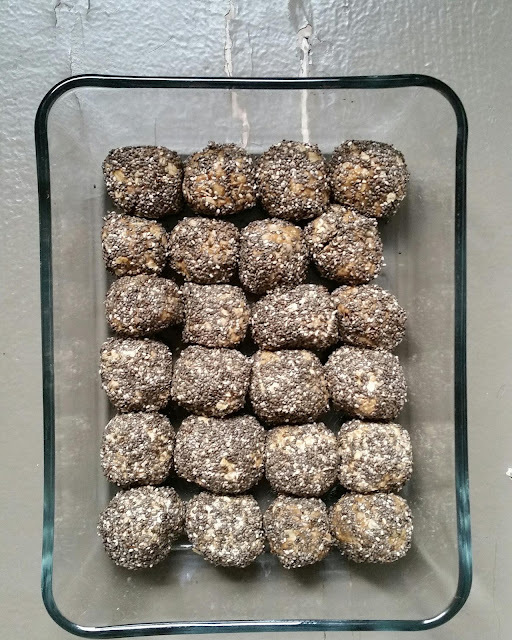 I made these bites for an art run that was being led by my friend Marnie who is the founder of Runstreet. She brings people together and leads them in a relaxing run around NYC while the group looks at street art. She asked me to make these treats for her Christmas art run and I was so happy to do it. I whipped these treats up when I messed up making another recipe. These turned out so great. 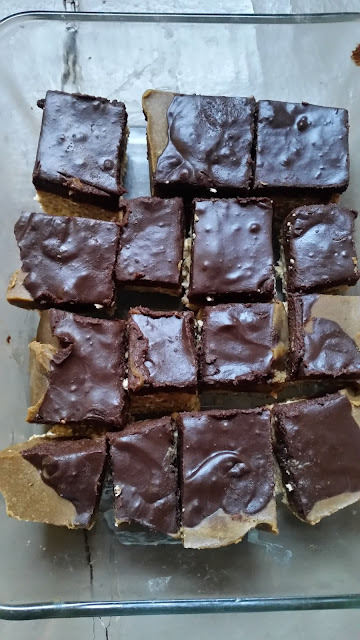 I'll be making these treats again when I team up with Marnie for a New Years Day art run and yoga class so if you are in NYC on Jan 1st, join us! Before a run, it's important to fuel enough and with the proper nutrients but also not to eat alot. 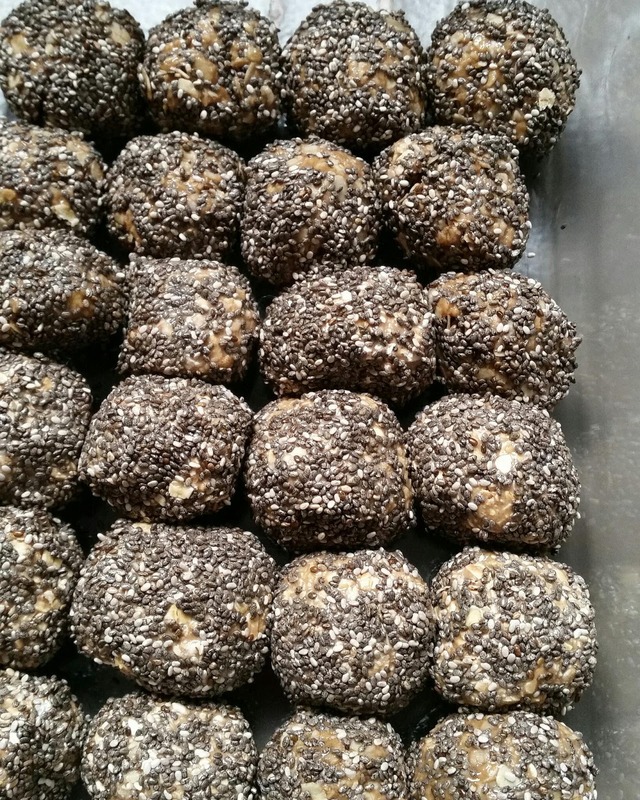 If you are someone who likes to eat something wholesome and light, these treats are perfect. The chia seeds and protein powder give you a protein punch and the brown rice syrup is a low glycemic sweetener so it gives you sustained energy. It's easy to fuel up for a run without overdoing it. Drink plenty of water the day and night before especially if you're running in the heat and humidity. 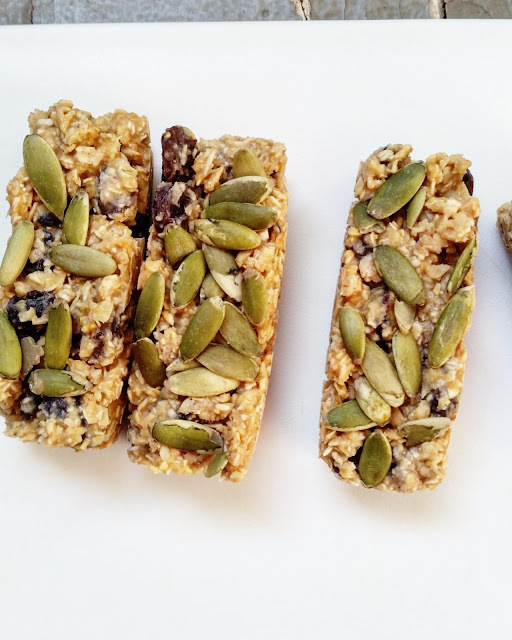 If you are running longer than an hour, take a snack with you like a gel or a banana. Mix all the ingredients except the chia seeds in a medium bowl by hand. Mix until the mixture is sticky and moist and ingredients are blended well. Pour some chia seeds into another small bowl. 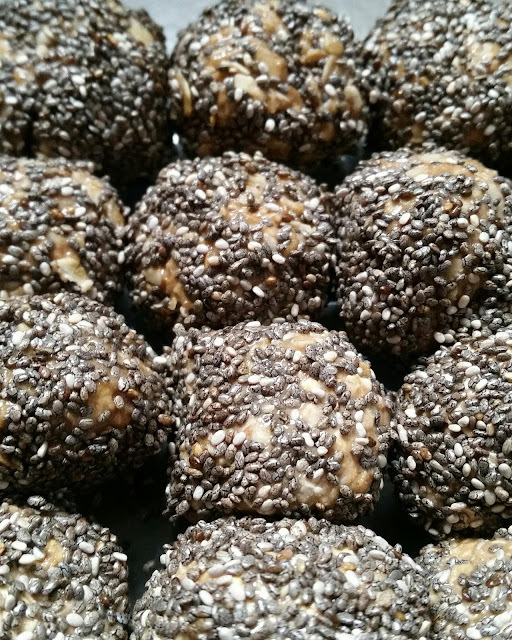 Take a little bit of the mixture, roll into a ball and roll in the chia seeds, coating the ball with entirely. 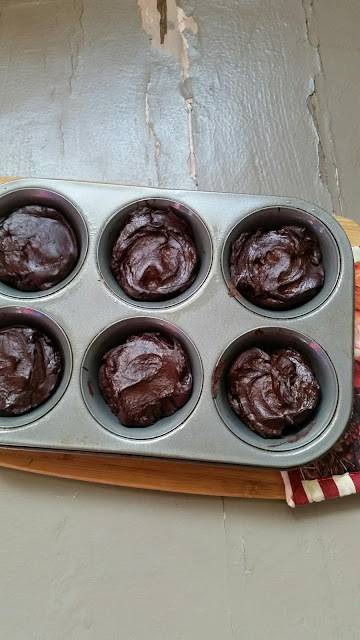 Roll into bites until the entire mixture is used and serve immediately or freeze. These make great pre or post workout treats!